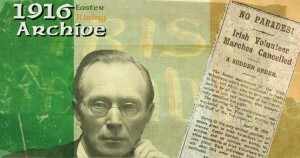 Posted in this week in history	and tagged with eASTER RISING, 1916 Easter Proclamation, Easter Rebellion, 1916-easter-rising	by Andrew Martin. 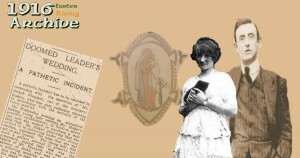 The real Story of the printing of the Easter Proclamation April 24th, 1916 by Nellie Cifford-Donnelly Irish Press 24.04.1934. Read below and download the full page!! Posted in Fact of the week	and tagged with 1916 Easter Proclamation, easter proclamation, 1916-easter-rising	by Andrew Martin. that the fate of Verdun is no longer in doubt. The Germans may yet, if they are willing to pay some 500,000 lives, take Verdun. The blunt fact of the fighting is that since March 2, the enemy has been unable to make any progress, save in his casualty lists, which are now beginning to reach very serious figures. Fruitless German slaughter has again been the chief feature of the weekend upon the battlefield of Verdun. It has long been noticed that every time the French artillery has been unusually successful in locating the German batteries or bombarding German billets the enemy has sent a deluge of shells into Rheims. Posted in this week in history	and tagged with Verdun, German loses, World History, Battle of Verdun, World War, WW1, Irish History	by Andrew Martin. Sorry guys and girls but a Triple Crown is not on the cards this weekend when we meet Italy. Lets enjoy our past glories on the field with the below blog and you can download an extract from the Kildare Observer 17.03.1894 at the bottom of the page!! 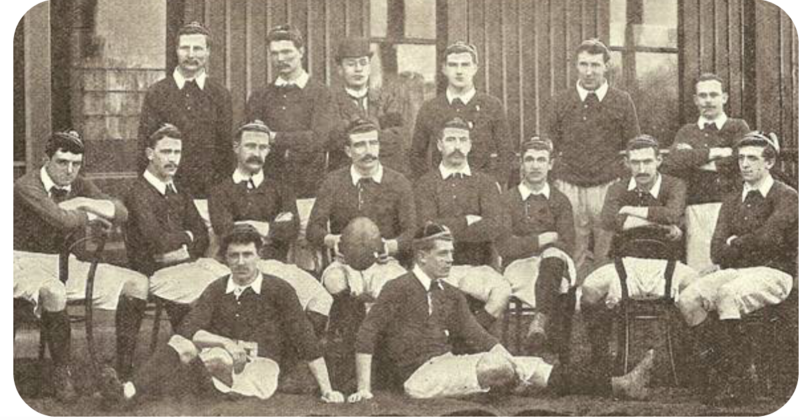 Come on Ireland!! In the aftermath of the Easter Rising of 1916 Sinn Féin, the party founded by Arthur Griffith in 1905, was reorganised and grew into a nation-wide movement. Abstention from Westminster and the establishment of a separate and independent Irish parliament had long been part of Sinn Féin's policy. The party contested the 14 December 1918 general election, called following the dissolution of the British Parliament, and swept the country winning 73 of the 105 Irish seats. 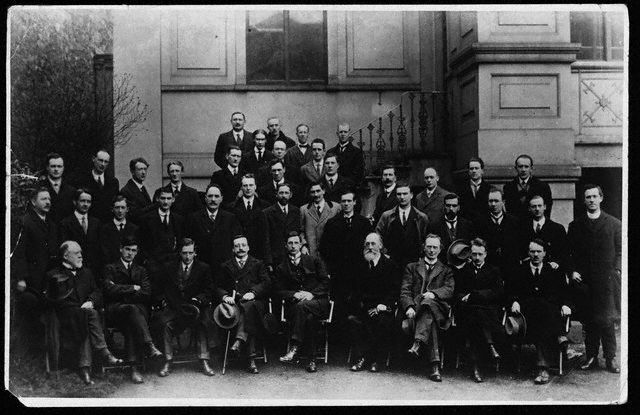 Acting on the pledge not to sit in the Westminster parliament, but instead to set up an Irish legislative assembly, 28 of the newly-elected Sinn Féin representatives met and constituted themselves as the first Dáil Éireann. The remaining Sinn Féin representatives were either in prison or unable to attend for other reasons. 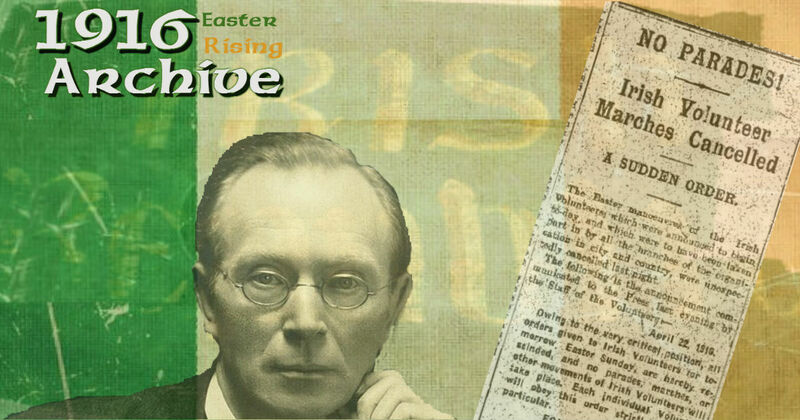 Posted in Fact of the week	and tagged with Sinn Fein, Irish Politics, dáil éireann, 1916-easter-rising, 1916, Irish History, history	by Andrew Martin. 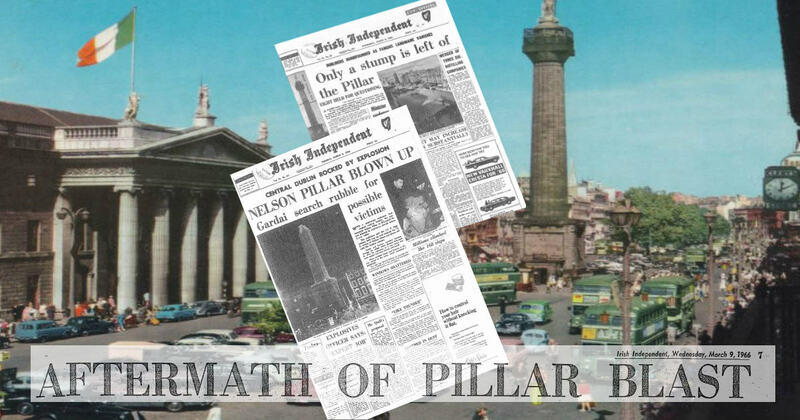 Nelsons Pillar Blown in half. IRA Bomb - Center of Dublin Rocked!! "I am very glad to announce to the Dáil that I have been informed by the British Prime Minister that his Government have recently decided to meet out request for the repatriation of the remains of Roger Casement." "As Deputies are aware, it was Casement's express wish that he should have his final resting place in Ireland, and it has long been the desire of the people of Ireland, shared by successive Irish Governments, that this wish be fulfilled." "It required courage to do what Casement did, and his name would be honoured, not merely here, but by oppressed peoples everywhere, even if he had done nothing for the freedom of our own country." While this was something of a coup to get the British to release Casement’s body his dying wish was that he should be laid to rest in his beloved County Antrim and not in Dublin City. Nature itself, it seemed, joined in the final tribute to Sir Roger Casement yesterday. Snow fell heavily from leaden skies. Suddenly there was a blinding flash of lightning followed by a loud clap of thunder. 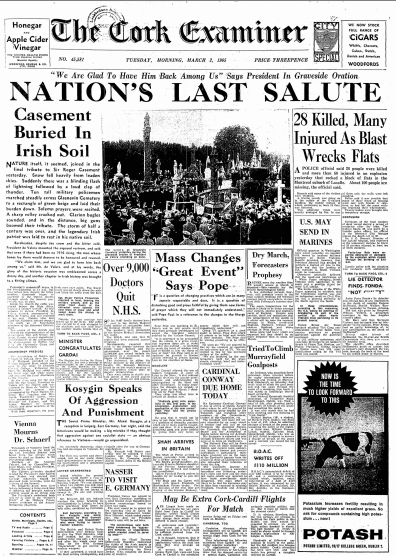 Ten tall military policemen marched steadily across Glasnevin Cemetery to a rectangle of green beige and laid their burden down. Solemn prayers were recited. A sharp volley cracked out. Clarion bugles sounded, and in the distance, big guns boomed their tribute. The storm of half a century was over, and the legendary Irish patriot was laid to rest in his native soil. 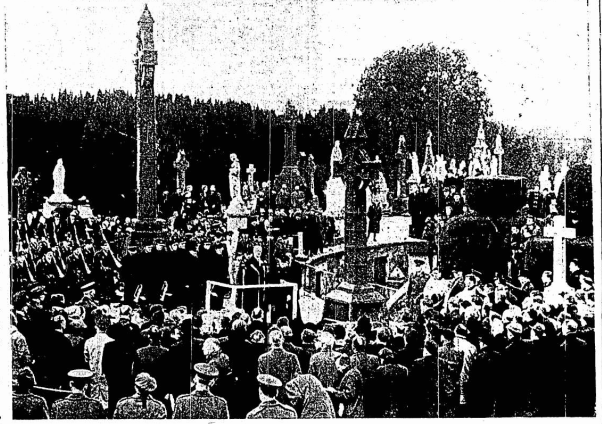 Bareheaded, despite the snow and the bitter cold, President de Valera mounted the exposed rostrum, and said that even if there had been no 1916 rising, the man whose bones lay there would deserve to be honoured and revered. 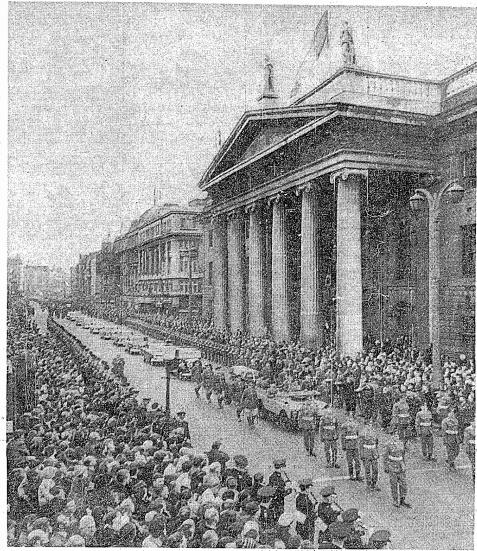 "We claim him, and we are glad to have him back among us," said Mr. de Valera, and at his words, the glory of the historic occasion was emblazoned across a dreary day, and another chapter in 'Irish history was brought to a fitting climax. Today in History one of Ireland greatest figures Roger CASEMENT was finally mourned. Read the below extract from the Irish Independent 01.03.1965. THOUSANDS lined the route from Arbour Hill Church to the Pro - Cathedral, Dublin, yesterday, as the remains of Roger Casement , the man who 48 years ago died a lonely death for his love of Ireland, were carried in a solemn procession. Posted in this week in history	and tagged with easter-rising-facts, easter-war, Irish war, Roger Casement, Easter Rebellion, 1916-easter-rising, 1916, Irish History	by Andrew Martin.